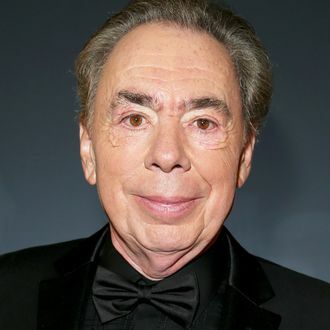 Fresh off of his EGOT, and while simultaneously working on that Cats movie, Andrew Lloyd Webber has somehow found the time to make a new Cinderella stage musical. According to The Hollywood Reporter, Lloyd Webber is working with Tom MacRae (who wrote the book and lyrics to Everybody’s Talking About Jamie, a musical about a gay schoolboy playing on the West End) and Emerald Fennell (who’s taking over as the lead writer of Killing Eve in season two) on a musical about the glass-slipper-wearing fairy-tale hero. “They have remade Cinderella into a completely modern, feisty girl,” he told THR, though apparently the story won’t be fully set in either a traditional fairy tale or contemporary world. Of course, Richard Rodgers, the first person to EGOT, already wrote a musical adaptation of the Cinderella myth with Oscar Hammerstein II as a live TV musical with Julie Andrews (their work was also used in Brandy and Whitney Houston’s TV movie, and it eventually came to Broadway). Plus, Disney has made and Lily James-ified its own versions of Cinderella. So, no pressure.